Florial has talent evaluators from the Yankees and rival teams gushing. BRADENTON, Fla. — A veteran American League scout who has been around long enough to have seen everything twice had never seen this. Scouting the Yankees’ low Class A Charleston club last season, he watched outfield prospect Estevan Florial after a play on the bases in which he was called out. 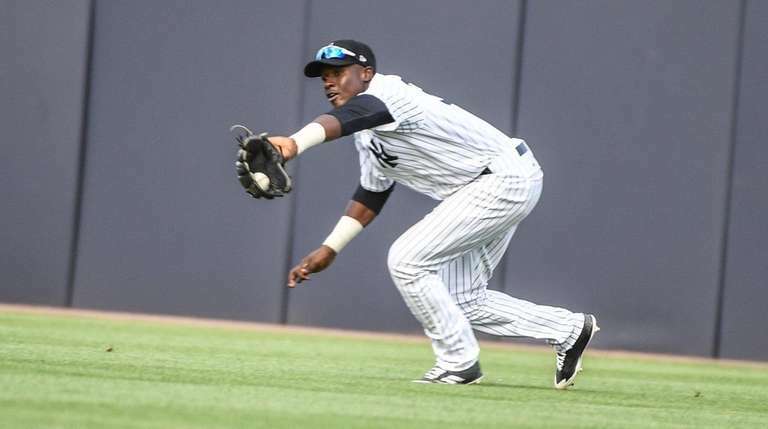 By now, ardent Yankees fans, and even casual ones, likely have heard of Florial, a 6-1, 185-pound centerfield prospect whom the Yankees signed as a non-drafted free agent in 2015. He ended last season with high Class A Tampa — he hit a combined .298 with an .850 OPS, 13 homers and 23 doubles in 110 games between Charleston and Tampa — and is considered by many as the No. 2 prospect in the organization behind infielder Gleyber Torres. Florial needs to cut down on the strikeouts — he struck out 148 times last season in 420 at-bats — but the tools are undeniable, as is the excitement surrounding the 20-year-old. While general manager Brian Cashman typically says “no one is untouchable,” one opposing team executive said his sense with Florial is “he’s as close as it gets to untouchable” for the Yankees. Florial, who started in centerfield Saturday in the Yankees’ 4-1 victory over the Pirates and went 1-for-3 with a triple and two strikeouts, has talent evaluators from the Yankees and rival teams gushing. The Yankees don’t want to put that kind of pressure on Florial, but they’re not hiding their enthusiasm, either. The Yankees annually invite a handful of their top prospects — some that are highly rated and some that are more under the radar — to spring training so they can get a taste of the big leagues. 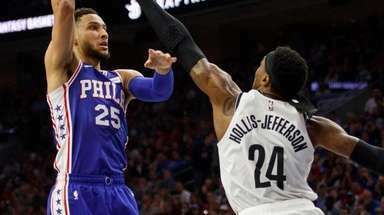 The gregarious Florial, who grew up in the Dominican Republic and speaks English, Spanish and Creole, has fit right in. He’s been at ease with reporters and his smile is constant with teammates. Florial is likely to start the season with Tampa so, as Aaron Boone said, he’s “a ways away” from the major leagues. That said, according to Boone, Florial “looks the part” of a big-leaguer.